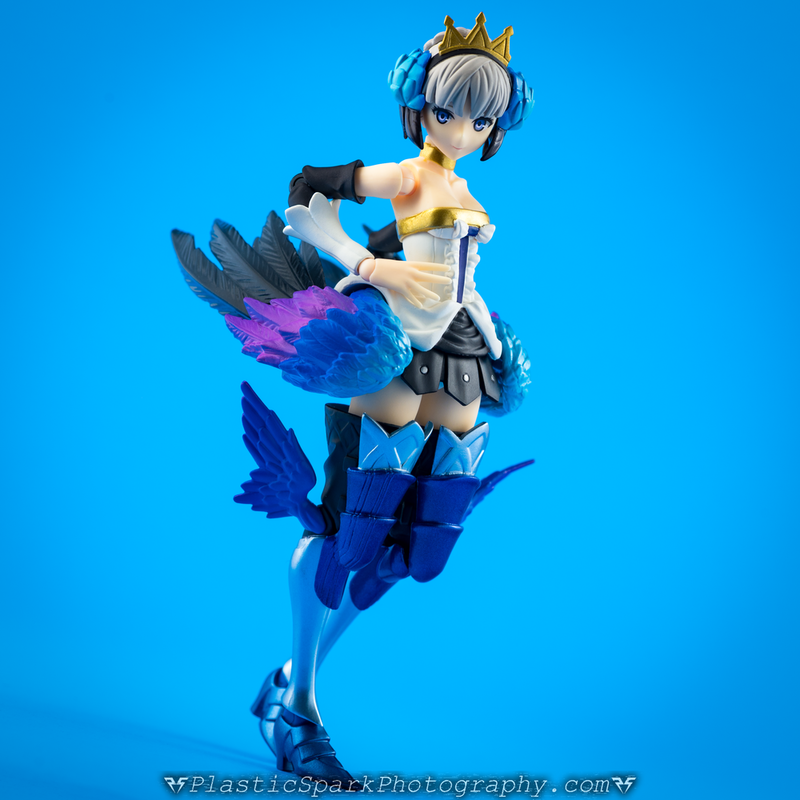 Odin Sphere was one the most challenging and enjoyable titles available for the Playstation 2. 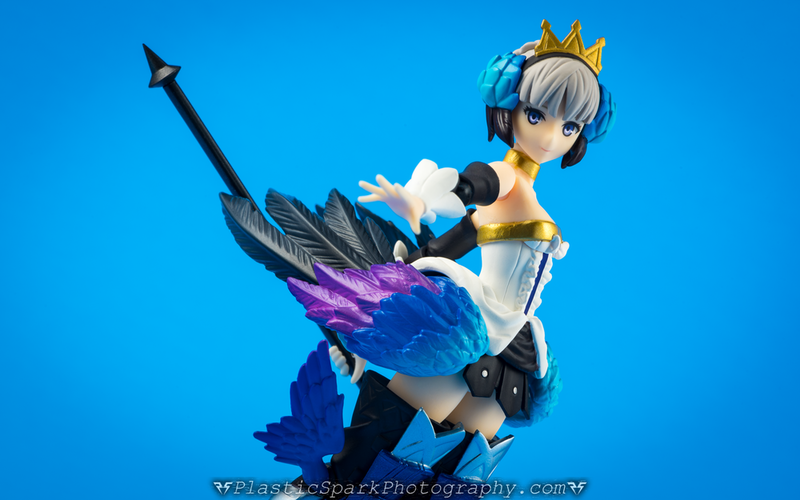 Just last year (2016) it received an incredible updated version; Odin Sphere Leifthrasir, for current generation home consoles and PSVita. Packed with new and upgraded features, enhanced visuals, and all of the amazing fun of the original this is a must pick up game if you’re a fan of side-scrolling action RPGs. Thanks to the re-release of the game, and renewed interest in the franchise, GoodSmile Co. has decided to release a few characters from the game over their various product lines. Aside from Transformers my main collection is Figma and S.H. Figuarts so Figma Gwendolyn was the perfect representation of this game for my collection. If you’ve handled a Figma product before you’ll know what to expect. The usual assortment of hands, swappable faces, and accessories with a stand, and a zipper bag to store all your extra pieces. It all arrives in a beautiful and colorful window box. The replacement faces include a serious face, a smiling face looking to the right, and a shouting face. The standard face is a little bit lifeless but the other 2 look incredible. 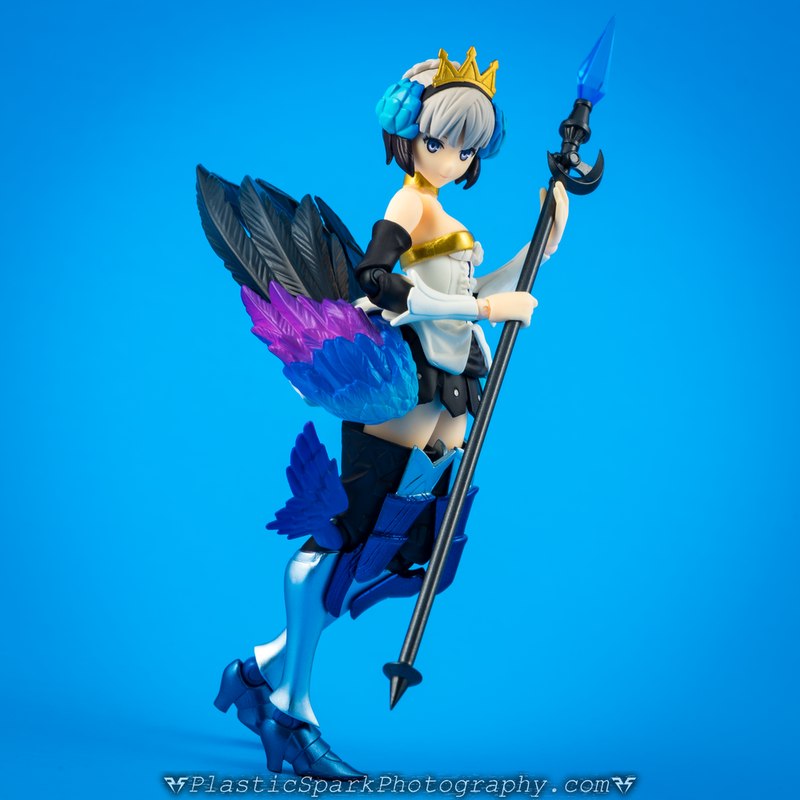 Odin Sphere is an incredibly art driven game, with a sort of “fantasy painting come to life” art style that has been well rendered by Figma to create a gorgeous, tangible representation of the Valkyrie; Gwendolyn. 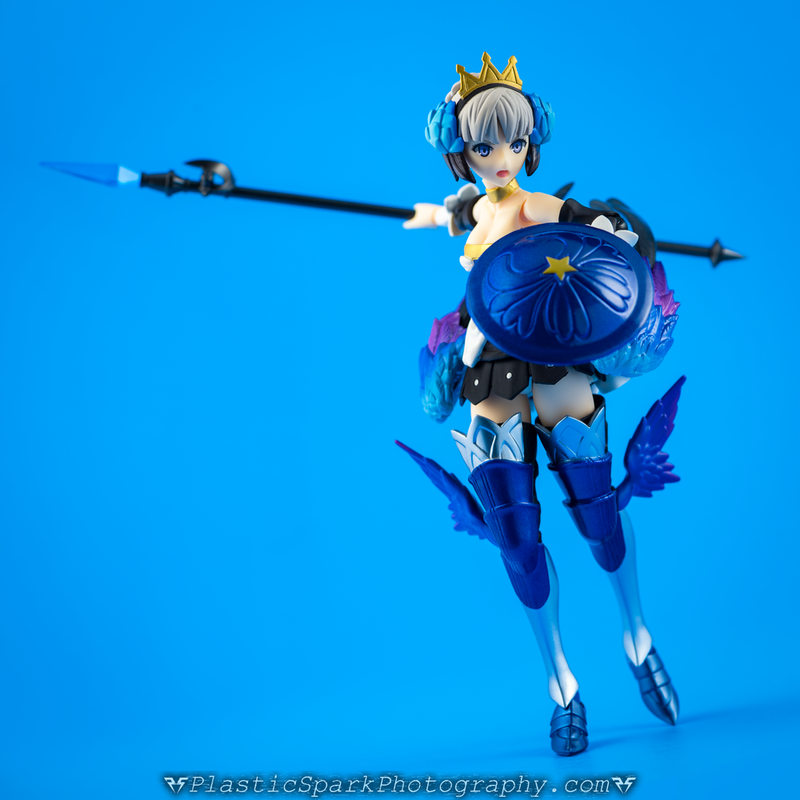 She still has a bit of the more cartoonish look that Figma is known for, but all the important details of her design are present and expertly sculpted and painted. 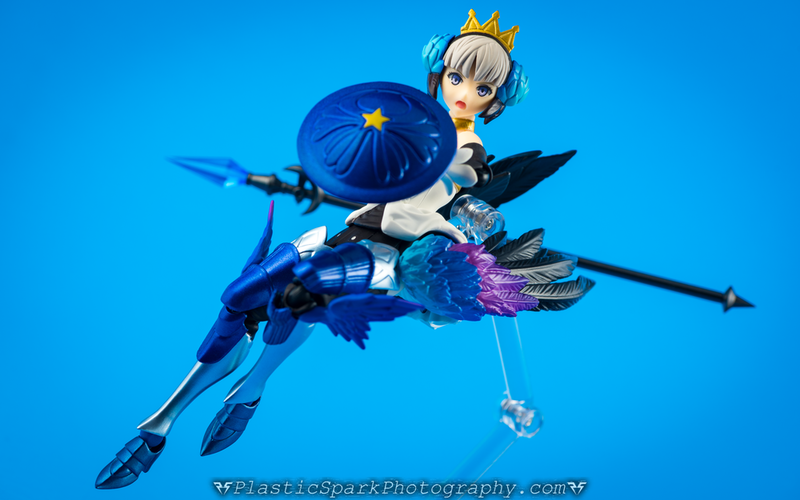 Gwendolyn is packaged with her Psypher Spear and a round shield. These items looks just like the ones in the game including the blue crystal tip of the spear. The handle of the spear is just black plastic. I think it would have been nice to see a dark grey or even metallic material used, but the end result is still quite beautiful and deadly in the hands of the Valkyrie. Among her variety of hands is a special left hand with the Ring Titrel worn on her third finger. I would have liked a couple more left hands with the ring equipped but that would be nitpicking at its finest (My specialty). It would have also been cool if they had included a potion or maybe some of the berries from the game as extra accessories. Gwendolyn’s accessory count is a bit low considering her overall cost. Gwendolyn has all around decent articulation with the only real limitations being caused by her hip wings low range of movement, sometimes getting in the way of her arms or spear in more dynamic poses, and her very limited torso/ab articulation due to her design. There’s not a lot that could have been done to improve these points without sacrificing aesthetics. I think they made the right choice. 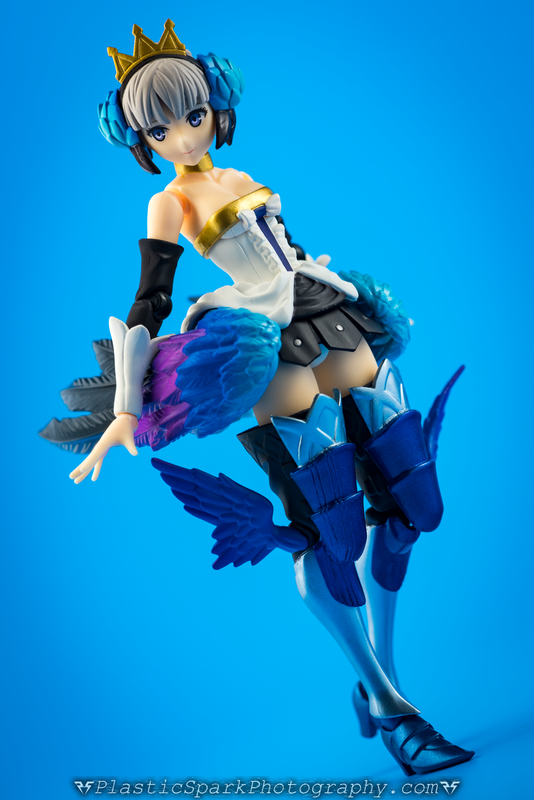 There is a deluxe version of Gwendolyn that includes larger wings that can replace the small hip mounted wings of the regular release as well as a calm expression with her eyes closed. Regrettably I was not able to secure this version of the Figma. 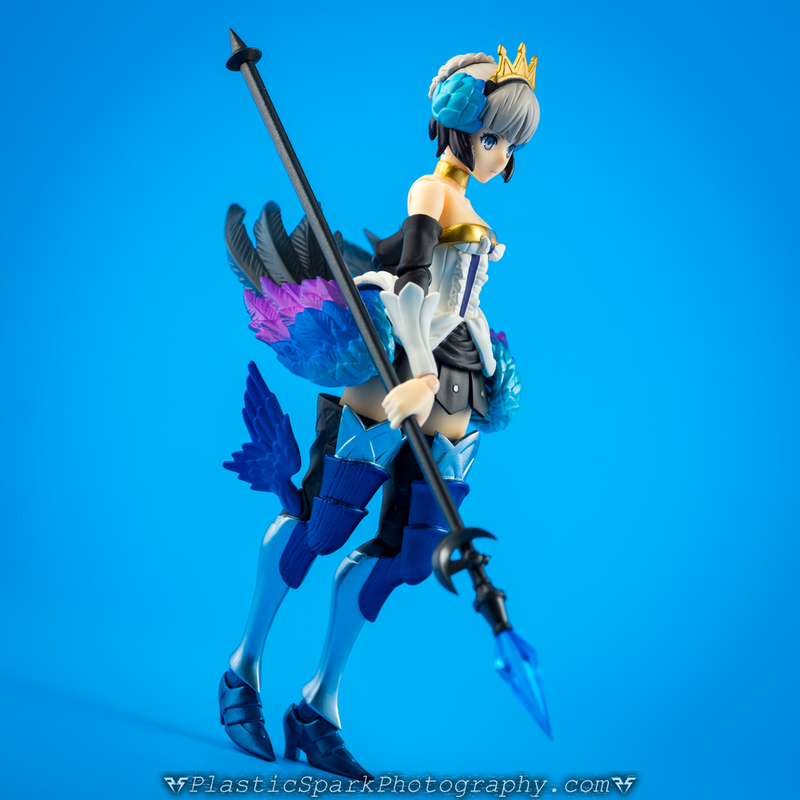 The extended wings would make for a lovely display option but ultimately I don’t feel they are necessary to experience everything this figure has to offer. 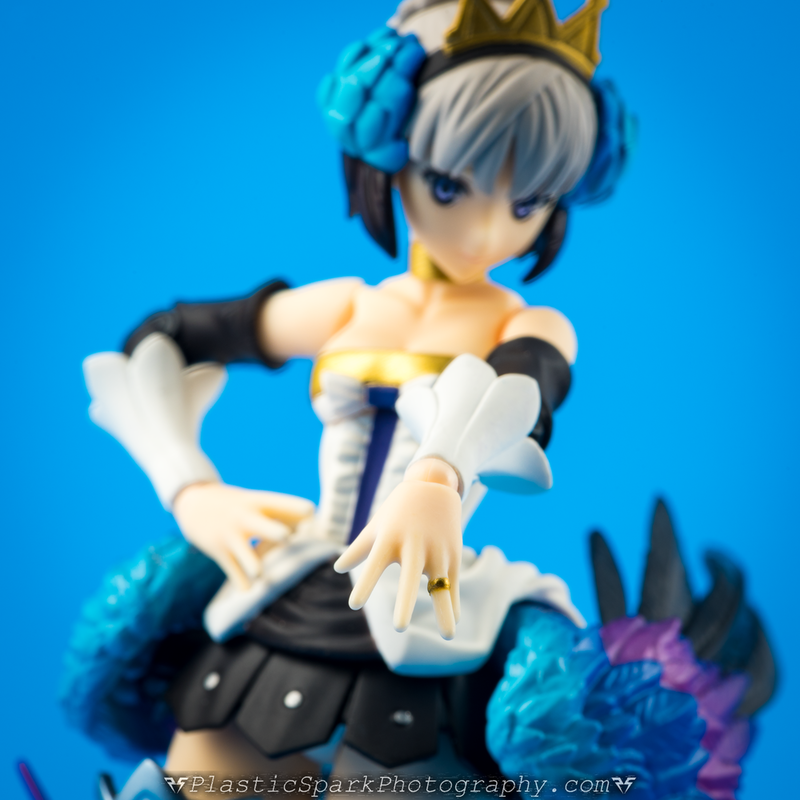 If all you can pick up is the regular release I still would recommend it if you are a fan of Odin Sphere. This is a niche figure, with a limited appeal. It’s well done, with gorgeous details, and great presence, but it’s also quite pricey for what you get. 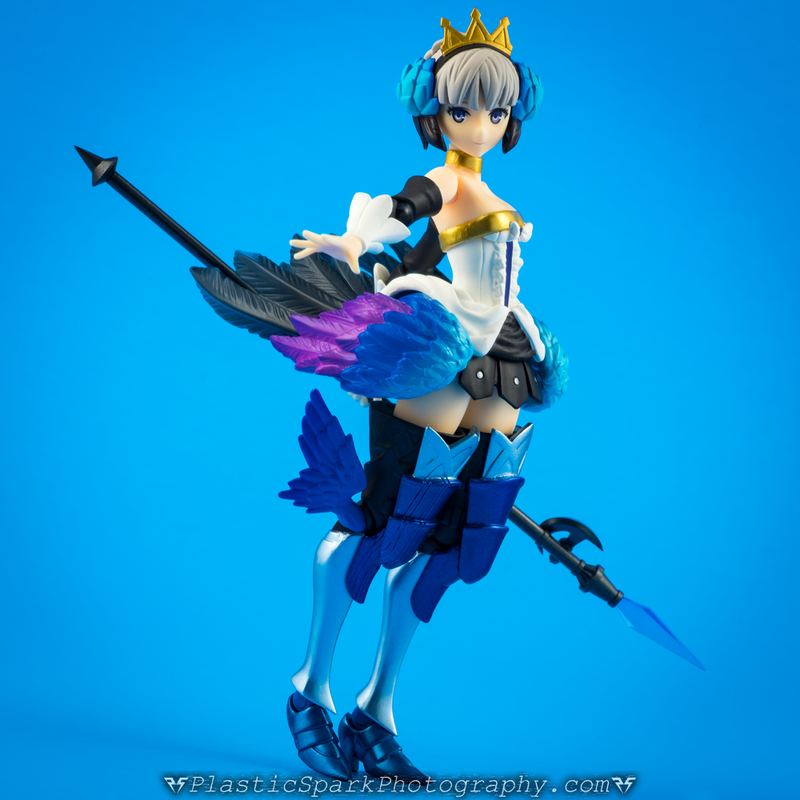 If you’re a fan of Odin Sphere and the art style/character design of Vanillaware games, then I absolutely recommend Gwendolyn. If you’re a casual Figma Collector, or someone who really craves articulation out of their figures then this one might be worth waiting on a sale price for.